and STD calling facility and unlimited data. However, the daily data limit is set as 0.5GB. In case the user exhausts the daily limit then the speed will come down to 64Kbps. Along with this users will get access to the Jio Suite apps and 300 SMS facility. This long term plan is valid for the period of 168 days. This means that the plan is valid for the total period of six months. Recently, Relaince Jio's rival Airtel also rolled out two new prepaid plans with long term validity. The service provider introduced plans of Rs Rs 998 and Rs 597 which come with the validity of 336 days and 168 days respectively. The new plans are available across the country and can be availed by both new and existing Airtel users. Under the plans the telco is offering unlimited national and local calling facility with no daily FUP limit. 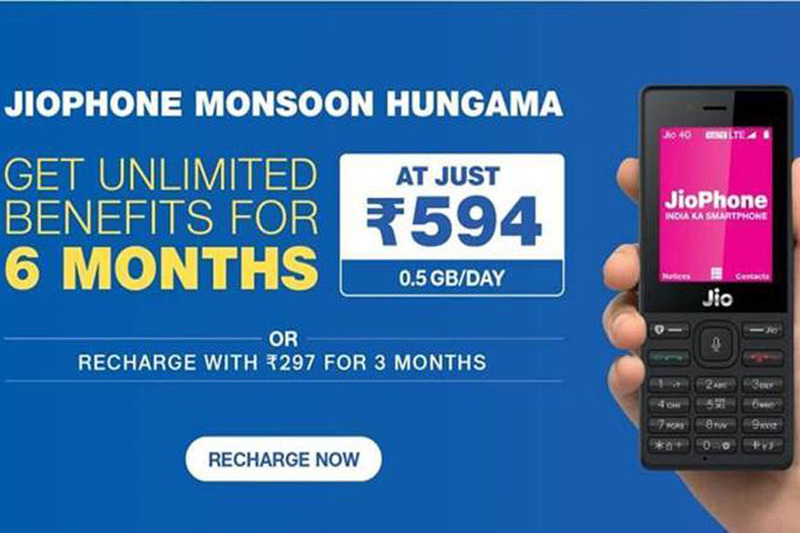 The Rs 998 plan offers a total of 12GB data, while the Rs 597 plan gives a total of 6GB data. Like Reliance Jio both the plans also offer 300 SMS facility per month.